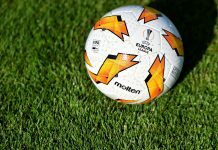 Team news: Napoli were without Alex Meret, Faouzi Ghoulam, Fabián Ruiz, Amin Younes. 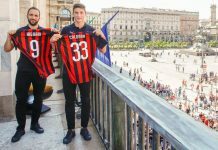 Milan had to do without the suspended Hakan Calhanoglu, as well as without Alessandro Plizzari, Andrea Conti, Ivan Strinić, Cristian Zapata and Riccardo Montolivo. Kickoff time was 20:30 CEST. 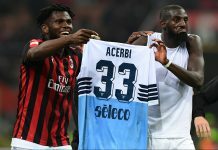 David Ospina; Elseid Hysaj, Raúl Albiol, Kalidou Koulibaly, Mário Rui (73′ Sebastiano Luperto); Allan, Marek Hamšík (63′ Dries Mertens), Piotr Zieliński (72′ Amadou Diawara); José Callejón, Arkadiusz Milik, Lorenzo Insigne. Unused: Marfella, Karnezis, Malcuit, Verdi, Ounas, Maksimovic, Chiriches, Rog. 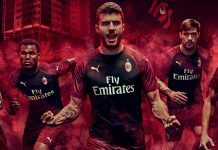 Gianluigi Donnarumma; Davide Calabria, Mateo Musacchio, Alessio Romagnoli, Ricardo Rodriguez; Franck Kessié, Lucas Biglia (58′ Tiémoué Bakayoko), Giacomo Bonaventura (81′ Patrick Cutrone); Suso, Gonzalo Higuain, Fabio Borini (70′ Diego Laxalt). 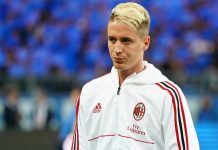 Unused: Reina, A. Donnarumma, Mauri, Castillejo, Bertolacci, Abate, Caldara, Simić, Halilović. Its 2018. People dont want to hear the truth, they cant take criticsm. They are comfortable with not accepting the truth, its easier for them. Im just like seedorf, i speak my mind and I know Im right in the end. Seedorf got sacked and I get the thumbs down. I couldnt care less. Im original, hate me or love me. 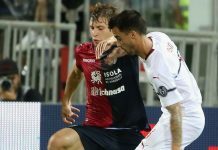 agree with you sheva… i told many times too many players want score and they dont want to defense… calabria scored thats not make me praise him cause it makes napoli look our weakness… winger move until penalty box?? 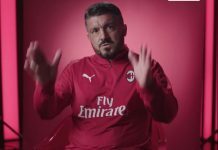 I see most fans have something negative to say about Gattuso. I have a simple question, if you were to compare our squad to the rest of Serie A where would you rank us in terms of strength? In other words if we had say Conte as coach, what position would you realistically expect us to finish this season? I think we are at par with Rome, and behind Napoli, Juve, Inter. This squad is actually pretty good. Definitely not top two but should easily get in top 5. 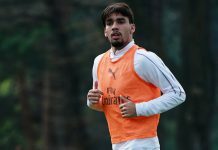 As an aside it was reported before the match that Zieliński is due to sign a new contract with a Eur100m release clause. I also saw that some pundits compared him to De Bruyne before the WC so perhaps we should not be surprised by his performance. Napoli have an amazing ability to polish rough diamonds. The “rookie” coach showed the issue. 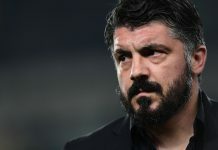 Gattuso was failing to read the game. Wrong substitution and tactically inept. Surely he learned a lot from this match. We already have a playmaker in Calhanoglu he just needs to be used correctly. 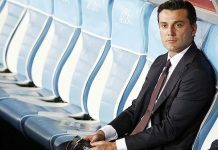 Now Rino had really stressed…he blame Musacchio on interviewed with Sky Sports and he shouldn’t do that…I smell Conte will coming in september,,,,Forza Milan! well the coach we lost against today “made” us throw away a 3-0 lead in 05 but guess ancelotti really hadnt developed into a great coach back then. Agree with all you said. 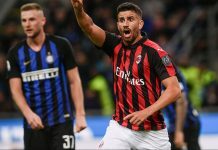 The way we lost was awful yes, and yes Gattuso has told the players to play out the ball calmly from the back, but I doubt Gattuso specifically told Musa to pass Biglia in that awful position, that was his mistake. As well as Donnarumma and Bakayoko failing to communicate, while Donna still stands there and doesnt try to get back into position. I guess these are Gattuso’s fault too. His substitutions were off yes, but our downfall began with the players squandering the good work they had put in before. I agree Milanista121. Musa was the main culprit in the first goal. And other players were off as well (Calabria was the weakest in defense, following him was Musa). But my main point was – let’s not fire anyone after the first match. Our defence? maybe! our midfield? ! we can’t play from back a team pressing us. it costs us the game! if you can’t see this then you are blind ! you are making fun of my English while you probably cant even speak another language. lets see how much Persian, Turkish, Armenian & Russian you know. it’s really easy to understand. if you don’t have creative midfielders (like us) then you can’t play build up play from back. If you can’t understand a simple fact like this, then you are probably dumber than I thought. + you are not my friend. Sohil- I was not making fun of your English, read carefully. It was genuinely hard to parse what you meant. Moderation is a b**tch; just for the record I added some of my thoughts on your Persian language. Didn’t mean my comment to sound so friendly, nor apologetic (grab a dictionary). And BTW genius,exclamation marks, periods, commas, etc … have nothing to do with language. And BTW 2, creative midfielders are usually used mostly in the final third. But I do get now what you meant – friend. that’s what I wanted to write in the first place. I made a mistake. but you turned it to a classroom instead of answering the main point of my comments. To be fair, Milik had one shot on target, he was pretty much invisible the entire game, Higuain was more involved, especially in the second half. It’s not easy to play as a lone striker. Agree with your points though. Mind you, Higuain had a very good chance off of Laxalt’s pass in the closing minutes that he squandered. Most of your points seem correct- but only for this match. 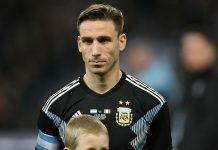 Let’s not write off Biglia just yet. 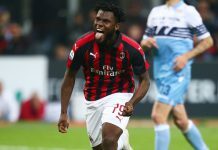 bench kessie, jack and calabria… put bakayoko and biglia to cover defense and hakan behind 3 our strikers (higuain, samu and suso)…. put borini as RB… i bet gattuso will win.. I didn’t watch the game and I was trying to find it on the internet.